You are here: Home / Uncategorized / THREE! Happy Birthday Moose! I love feisty kids! I love the nick name “moose” very fitting. Happy Birthday, big “C”! Happy Birthday! I’m so glad Porter has someone his same size, they can bully together. Happy Birthday. I am sad that I missed him in nursery on sunday. I will have a big kiss ready for him. I love that little guy. I love that picture of your belly! Happy Birthday! I have one of you at home, too! Happy Birthday Campbell! He is so cute!! 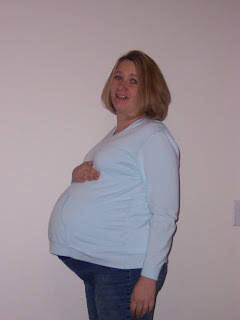 Love the pic of you pregnant. Your face says it all!! !